After your home has experienced water damage, you may find yourself cleaning up the mess. Whether it’s ripping up carpet, tearing down drywall and replacing furnishings, you’ve got a lot of work ahead of you to get your home back in order. When taking on the work yourself, follow these tips for cleaning up after water damage affects your home. Before anything can be done, you need to shut down the electrical supply and shut off the gas. Turning off power leading into the affected area, especially if water rises above electrical outlets, will help reduce the risk of electrical shock, while turning off the gas will prevent harmful fumes from building up. Remove electronics, furniture and any other important items immediately. The quicker you can get items out of water, the better chance you’ll have of saving them. You can also try pulling up your carpets and underpadding to see what you can salvage. Many homeowners insurance policies cover unexpected water damage. Contact your insurance adjuster immediately and take the following steps to prepare for the claim. It’s important to note, water damage to your home is generally covered by a standard homeowner’s insurance policy if it is considered sudden internal water damage. However, it does not cover damage done by lack of maintenance or neglect, nor damage resulting from a flood. Take photos to keep track of household items and home condition. Be present if an adjuster needs to visit your home. The adjuster will assess the damage to the house, providing you with a proof of loss statement to sign. Additional damage can be added when properly identified. Removing excess water is the challenging part. If there’s enough water that you need to turn off power, you’ll have to take the manual approach – gather buckets, towels and mops to try and get rid of as much water as possible. If you have a way to supply power, or a backup generator, you can hook up an automatic pump or a wet-vac to remove the water. When you’ve finished removing excess water, move on to the drying stage as soon as possible. Use fans, a dehumidifier and open any windows (as long as it isn’t raining, of course) to improve air circulation and help dry out the damaged area. After the damaged area has had time to dry, use a good disinfectant to remove any bacteria that might have come up through sewers, plumbing or from outside. Various affordable and accessible cleaning solutions can help clean the area, including bleach, ammonia, borax, vinegar and baking soda. Once the damaged area has been dried and cleaned, it’s time to take preventative steps to stop mold from growing. Apply a mold control spray, like Concrobium, over the affected area according to directions on the bottle. Once the spray dries overnight, it will destroy any mold spores and provide continued blockage moving forward. You’ll undoubtedly have damaged material or furnishings to get rid of – make sure to do it in a responsible way. You may be tempted to just throw everything into a dumpster or the trash and send it off, but many water damaged materials can actually be sorted out and recycled. This way, you’ll do your part to prevent unnecessary waste and protect the environment. 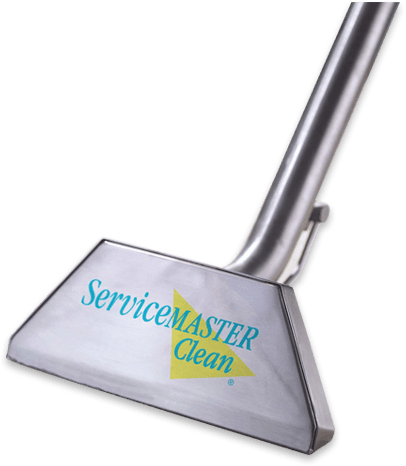 For the best water cleanup services in the greater Twin Cities area, get in touch with the expert technicians at ServiceMaster. We do everything we can to help you get your home back to normal as quickly as we can, offering 24/7 availability every single day of the year. When we partner with you, we apply our expertise, training and equipment to fix any water damage your home is facing. Whether you need help with water cleanup, mold remediation and removal or anything else, ServiceMaster will help get your property back to its normal form and your life back on track.